Who is Achieva, who does it serve, and how does it make people’s lives better? 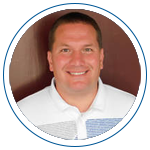 Damon Knoche (Current Executive Director): Achieva serves individuals in about a 6-county area in the east and central portions of Indiana. We provide advocacy for Individuals with Intellectual and Developmental Disabilities (IIDD), a guardianship service – one of 18 certified in the state of Indiana under the Indiana Supreme Court’s guardianship program that allows us to step in and provide people the health care, services, and supports that they need but maybe haven’t had. Sometimes they are living in deplorable conditions, or have no family members, or are in situations where their family is unable to provide the care they need. Family members or others in the community might be exploiting an individual. We’re a resource for the local court systems, law enforcement, and adult protective services to step in and receive emergency guardianship more expeditiously to take care of those folks. What were some of the biggest challenges you faced during your career with Achieva? Dan Stewart (Retired Executive Director): When we started out as a small organization, we served two counties, had a budget a little under $2 million, and were directed by a board whose vision was to provide services and supports to special needs children. As we looked to the future, we held a strategic planning session that turned out to be one of the best things we ever did. It really helped the community to be more involved with the organization. And we were able to identify many other financial resources available in the state of Indiana that the agency was not taking advantage of that allowed us to expand our services. 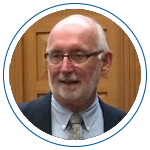 Brady Ware’s Bob Reynolds had been the auditor for Achieva before I joined the organization, and he had always been involved in sharing his concerns and helping us evaluate the things we wanted to do strategically. When we started to grow exponentially in terms of resources, you can imagine the changes that we had with staff and training and accounting and services and supports, and he and his staff were there to guide us, to ensure that we were always doing things by the book. But most importantly Brady Ware gave us the support and encouragement that we were doing the right thing. Bob was really instrumental in helping us grow. “If there’s a not-for-profit out there that wants to learn, and grow, and develop, they need Brady Ware. What are some of your biggest achievements at Achieva? In 2008-9 we had a gentleman who had lived in one of our group homes who had no family. He became gravely ill and was hospitalized, and though he received service and support, he never had anybody who could speak up for him, and he was not able to give consent. It touched me deeply, and after he passed away, I spoke with ARC of Indiana, the advocacy trade organization we work with, and also the IN Association of Rehabilitation Facilities, and we asked them if there was a possibility for funds be found to start a state-wide guardianship program. We were blessed that the ARC took the ball, and in 20XX? we were able to obtain funding from the state for $500,000, and that program has now grown to over $1.5 million. We were looking for an agency that would manage and distribute those funds, and at that time the Chief Justice of the State Supreme Court determined that we were the right organization to handle that responsibility. They established that the guardianship program was already working in our state courts, so they hired an administrator, and we were selected as one of the first organizations to receive that funding. Achieva is now one of 18 organizations in the state, serving around 45 counties. We have a long way to go, but you’re serving the neediest people in our communities: people who have no one, people who had families who wouldn’t, couldn’t, or shouldn’t care for them. And the sad part is that you find a lot more of the “shouldn’t,” a lot of exploitation and people living in conditions that are deplorable. So we’re very proud of that achievement, having served hundreds of individuals. Of those we’ve served who have passed away in our care, every one of them received a dignified funeral service, even if it was only Achieva staff and the funeral director present. We also work with other families as part of the guardianship program. Not only does Achieva work as guardians, but families can step up to become guardians of their loved ones. Achieva has always helped those families navigate the process to do that. In 1998 when we did our strategic plan and moved forward, we established that we were one of the quality rehabilitation programs in the state of Indiana. We had a young lady by the name of Jamie in the guardianship program, and I became her legal guardian back in 2010. She was living with her father who had adopted her; her mother had passed away a couple years prior, and her dad became gravely ill and passed away at the hospital. Three days later, she was found wandering the streets of the city she lived in. Neighbors called the police for help, and Jamie was placed in a local nursing home, as it was the only place we could house her since she had no other family. Unfortunately, Jamie had to live in that nursing home for a full year because we could not get her a Medicaid waiver. At that point, Judge David Kolger (sp?) decided taht this is a travesty, and he sent a letter to the state director. I’ll never forget the Saturday I received the phone call when Jamie received her waiver. Jamie entered the shelter workshop. She moved to a supported living home that she rented with two other individuals and became the most productive person in the history of that workshop. She decided that she wanted to find a job in the community. Jamie then put together a resume, applied to 40-50 companies, and never received a call back or an interview. She came to me one day and said, “Dan, what am I doing wrong?” We called Sally Hutton, who was the mayor of Richmond at the time, and she was a huge supporter of our programs and services. Jamie was invited to talk to the city council, and she told her story. Two council members were in tears, and they said, “Jamie, we want to help you.” If you bring me your resume tomorrow morning, I will help you get an interview. Jamie produced her resume right there on the spot. The next morning she was employed by Pizza King in a position she held for four years. In addition to still working at the workshop she decided she wanted even more work, so she started volunteering at a program call ABILITIES, which is similar to a Goodwill store on a small, local scale. Things went so well that she was employed one day a week in addition to her other job. So here we have a young lady with an intellectual disability with not one but three jobs. At this point, she decided she wanted to receive training to be eligible for a full-time job in the community. And the ARC of IN had started the Erskine Green Training Institute, and we went to the state vocational rehabilitation agency who agreed to sponsor her. She entered a 13-week training program in environmental services, which is janitorial / custodial work in the hospital in the terms of patient rooms, public areas, and the restaurants. During her eleventh week of training, I received a phone call from the human resources director of a local hospital who said, “We want to hire Jamie the day she graduates because she is that good.” We knew there were issues that she had to meet: she had a guardian, she was living in Wayne County, this job was going to be a move to Delaware County, and she’d need to find a roommate. We worked diligently, and she was able to make the move, start her full-time employment at the hospital, and a month later she was assisted by the Indiana Disability Rights Office to regain capacity (the first person ever in Indiana), and became a supported living advocate. She has really set the bar for other individuals. This past spring, she spoke at the Indiana Guardianship Association meeting with over 200 people present. At the end of her discussion, she received a standing ovation, and there wasn’t a dry eye in the room. She has now been asked to speak at the ARC of Indiana conference, and we are also negotiating to have her speak at the ARC national conference to share her accomplishments and set the bar for others to aspire to. In my 48-year career, it was the best day of my life, seeing that young lady regain capacity and being able to help her on that journey. But ultimately, she was the one who did all this, and that to me, that is the number one thing I think we’ve accomplished. Where do you hope Achieva to go in the future? Damon: For what Achieva is to the community we serve, the reputation built by Dan and the staff with so many collaborative partners and donors, it gives us an opportunity to work on how we can better engage them with what work exists today and what work lies ahead for us in the future. We continue to do volunteer training to try to engage more folks in the community with a passion for helping build relationships with the individuals and communities that we serve and to be engaged with the work that we do. I’ve always said the best thing we can do is to involve more people because the more people who are involved, the more advocates we have. I want to continue the work that Dan has started with the supportive decision-making model, to work with our local educators, to work with local education administrators, as well as work the local classroom intervention specialists and the students’ families to lower the barriers to education. Ultimately, we want to move folks into positions where they can live the most enhanced quality of life possible. Guardianship isn’t always the case; even though that’s what we’ve become known for, the supportive decision-making opportunity is something that we want to continue championing with our local educators. Brady Ware has been your accounting firm for a long time. How did you find us, and why did you select us? Dan: When I took the position in 1997, Brady Ware was our Auditor. When I saw the possibilities of how we could grow and expand, one of the first people I sat down with was Bob Reynolds. There’s no way to describe how supportive he was. When I took the position, I surveyed the staff, and we talked about the organization’s strengths, areas that needed improvement, and where we could grow. One staff member said, “There are a lot of people in our area who are sitting at home not receiving any services or supports.”So we started our Medically Fragile Program based on the individuals in our community with needs, and it grew from a grassroots program to having a dedicated facility. Bob has played such a key role, along with other Brady Ware team members. We couldn’t have done all this without Brady Ware’s support and being able to run all these ideas by them. Bob put us in touch with a major organization in Indianapolis who helped us pull together a strategic plan and bring together our community leaders, which allowed us to raise the money to build our facility. Two years after that, we had the same potential in another county, and we were able to increase the capacity of another facility by 50% with the help of another matching grant. Several hundred people a day are served by that program. Bob never hesitated to tell us if we were approaching something incorrectly and would then steer us in the right direction. What is it that you are looking for in people who provide services to your organization? Damon: We are looking for people who care about people. We want that quality in our business partners, as well. You can’t succeed if you don’t have a lot of like-minded individuals and organizations who will come together for the greater good. Would you recommend BW to other nonprofit organizations, and if so, why? Damon: The dialogue around board development and opportunities for the organization, I’ve never been involved in an organization that has the resources that Brady Ware provides, and the passion Brady Ware brings to us. It turns a corner when the folks who are supporting our organization and the work that we do—making sure that our organization is both sustainable and profitable and able to grow the impact that we have—care so deeply about our work. Brady Ware cares about our business and growth potential, board development, and strategic planning, and all the things that make an organization strong. They’re a partner and a collaborator who both supports the work that we do and shares in our passion to serve means the world to our organization. Dan: Brady Ware was there when we hit a crossroads with the loss of significant revenue and the loss of a significant state contract that totaled almost $3 million dollars. Our board came up with a plan, and Bob worked hand in hand with our board, staff, and an outside company in Indianapolis that helped us come up with a plan to transition from a small community-based rehab agency to one that grew to a major provider, and with the challenges we went through to provide that support to the organization, and then through our last almost 8 years of advocacy…we could not have done all that without Brady Ware’s support. If there’s a not-for-profit out there that wants to learn, and grow, and develop, they need Brady Ware. I think Brady Ware is hands-down the best for serving the not-for-profit community. Find out what Brady Ware can do for your Nonprofit Organization.